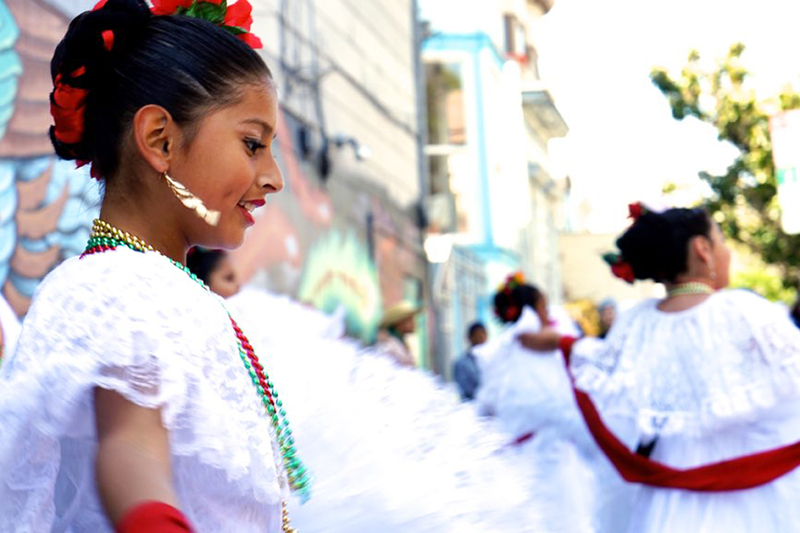 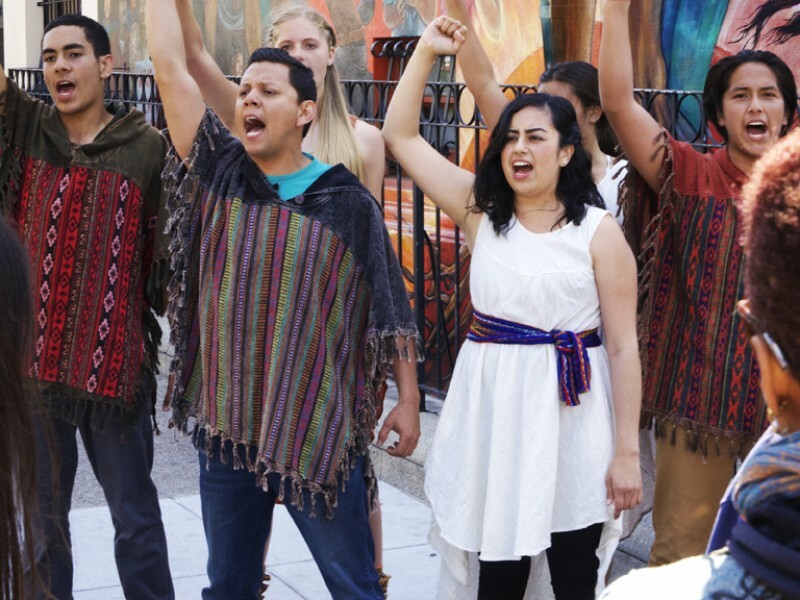 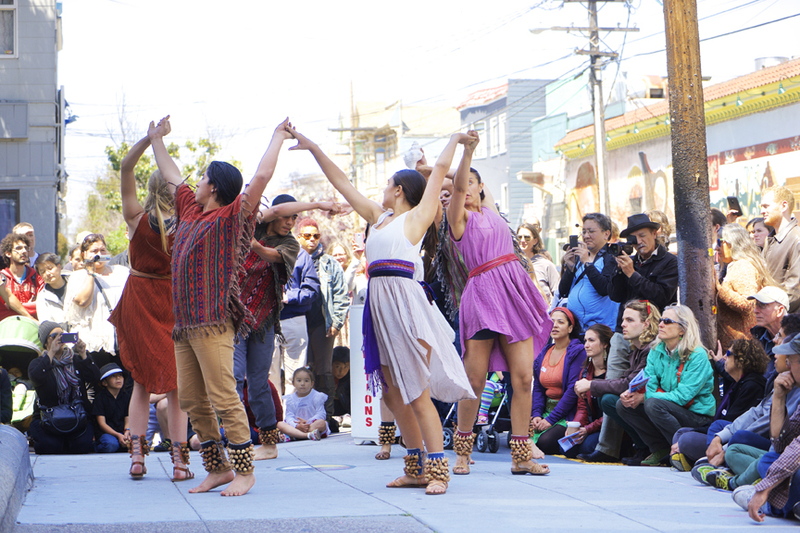 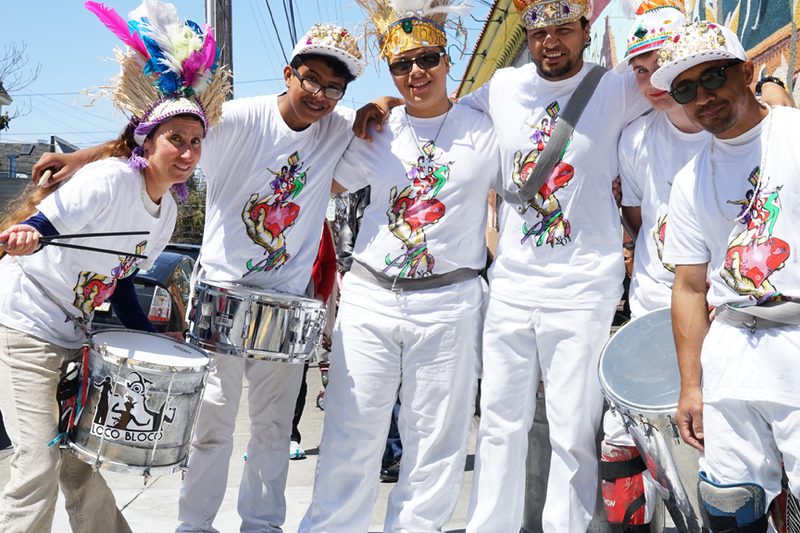 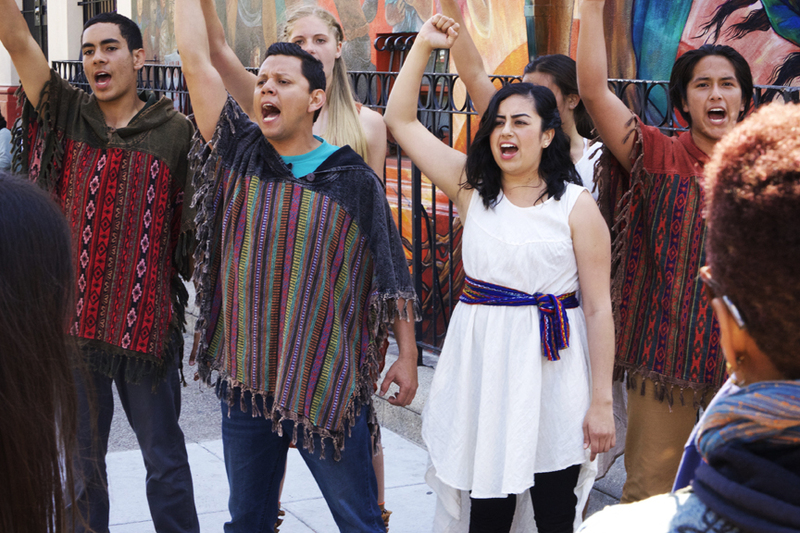 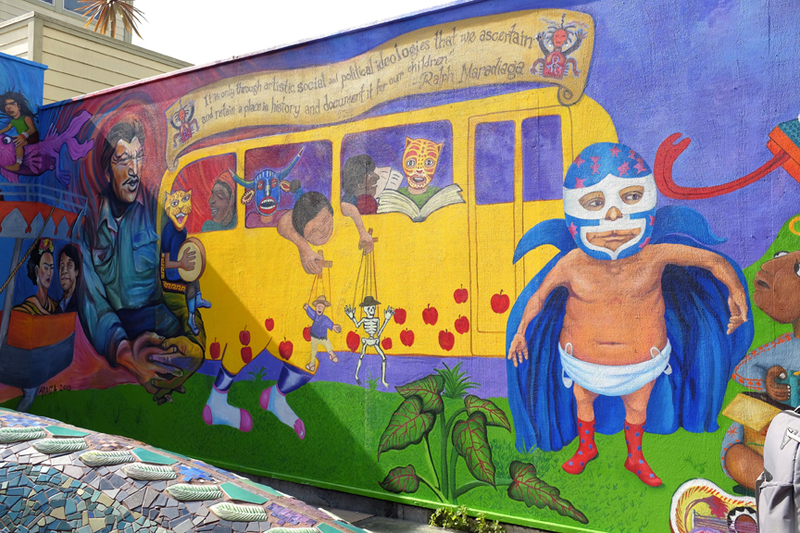 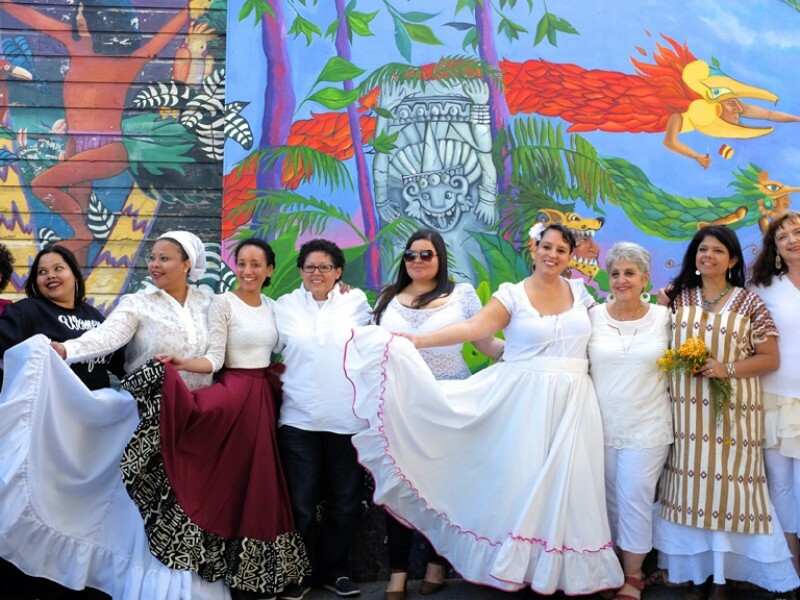 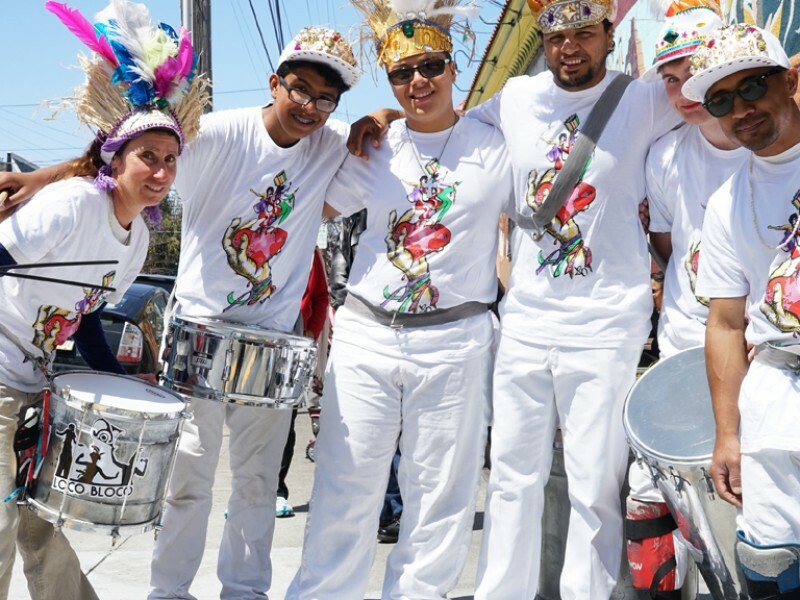 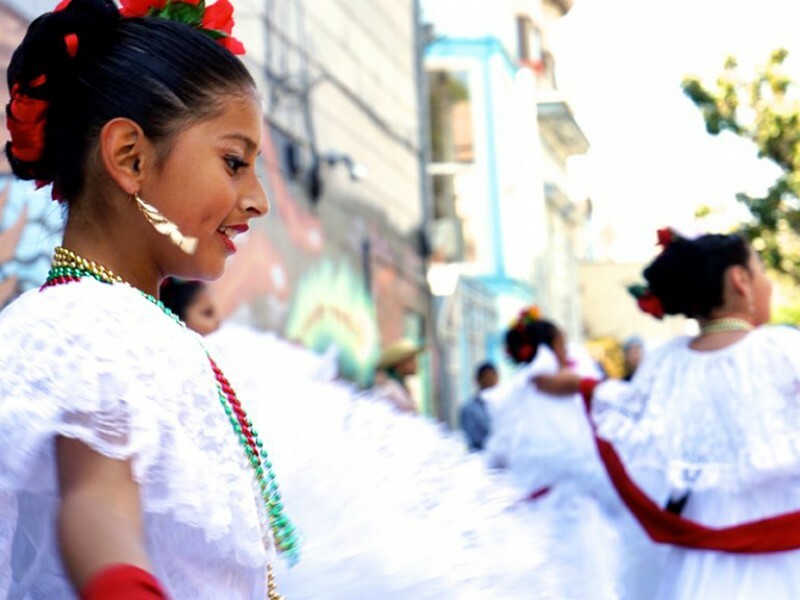 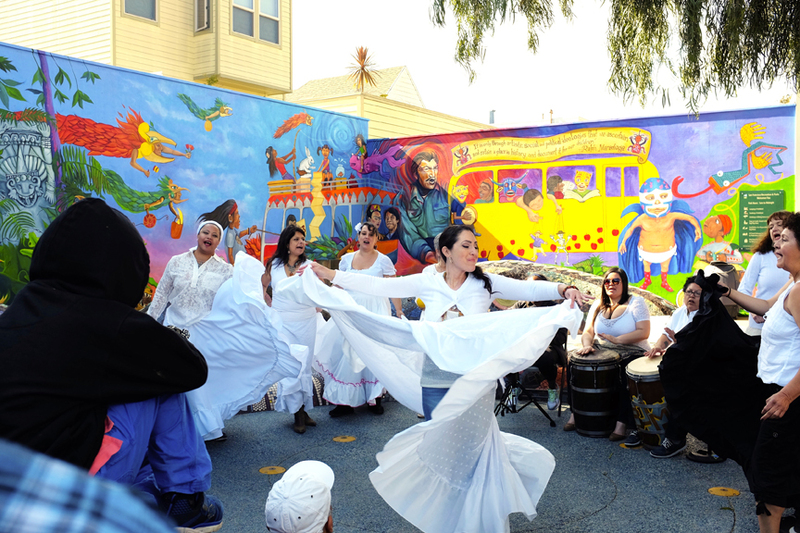 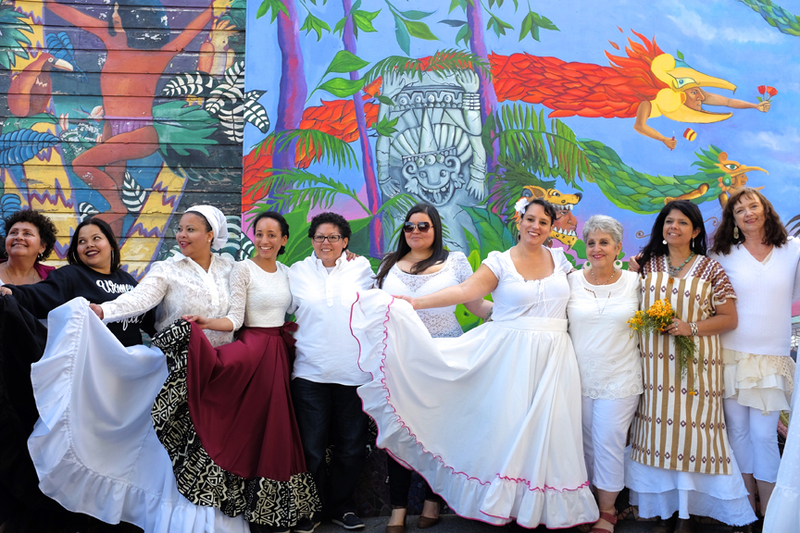 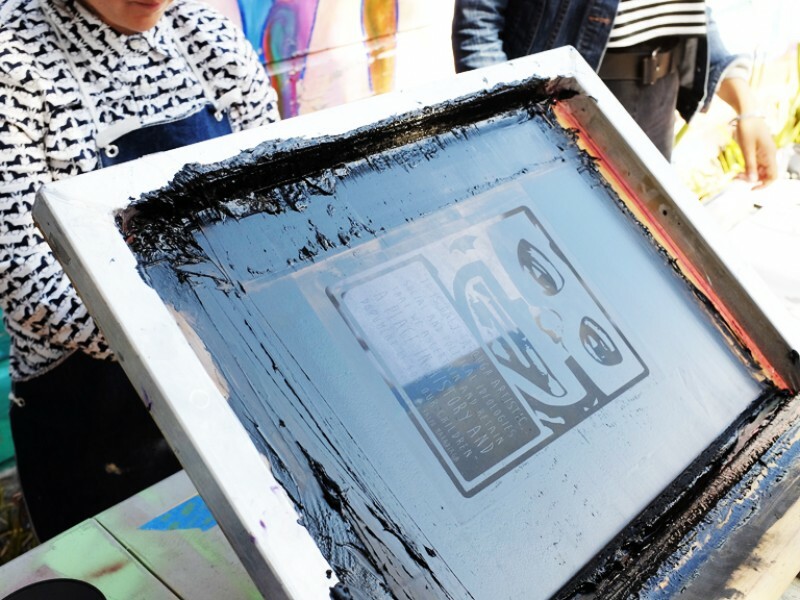 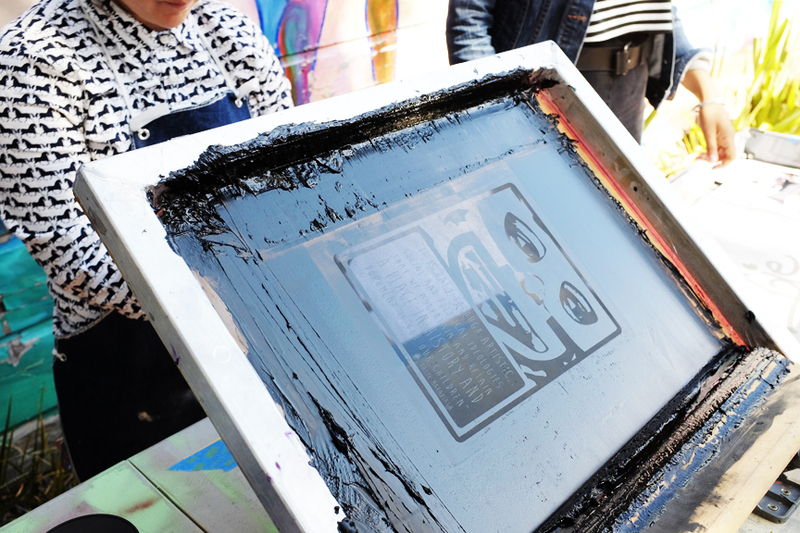 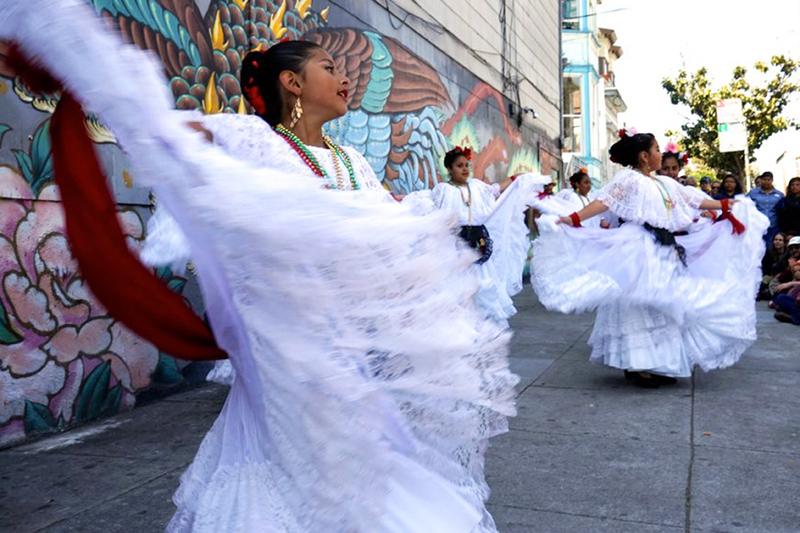 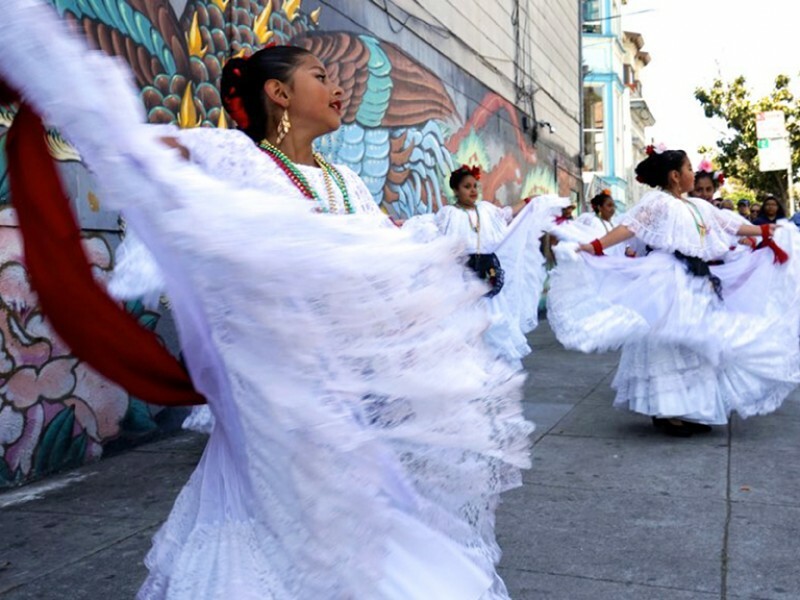 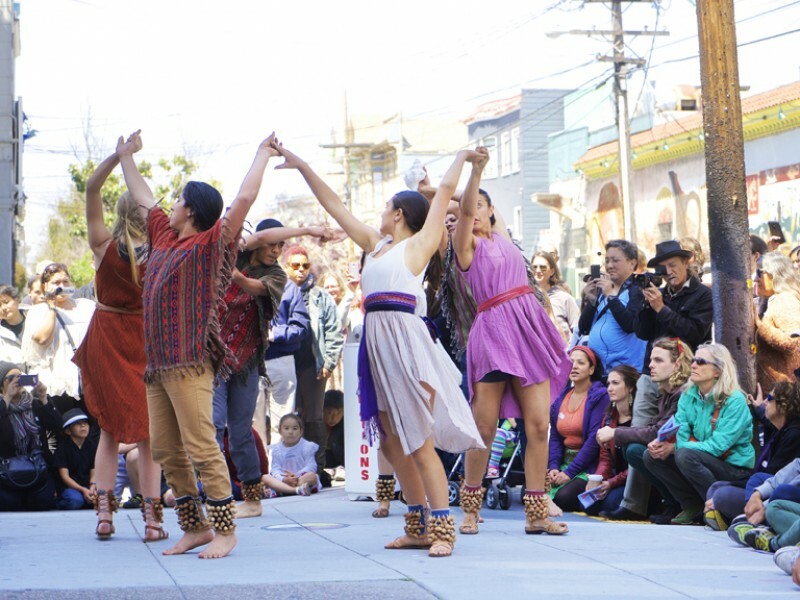 On Sunday May 3, the Mission District community gathered for the Baile en la calle celebration of the mural at the Ralph Maradiaga Children’s Park. 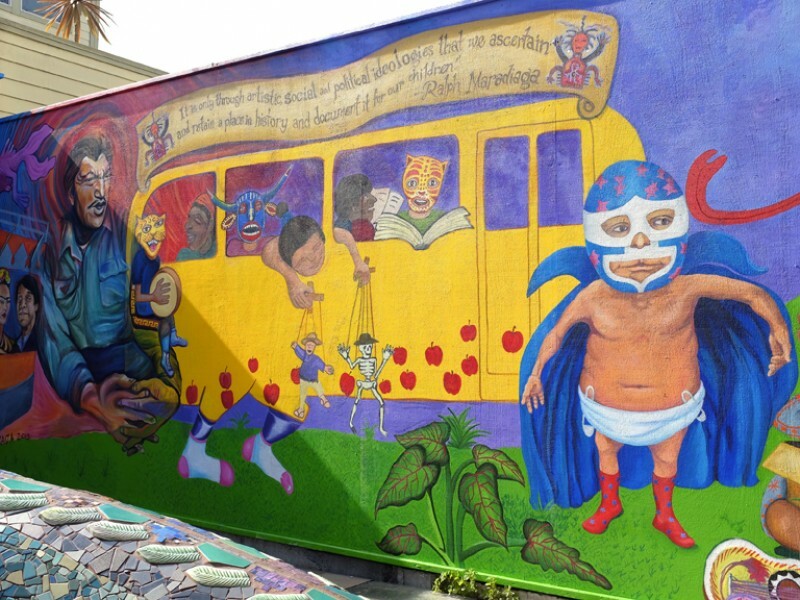 The mural was dedicated to the late Chicano art icon. 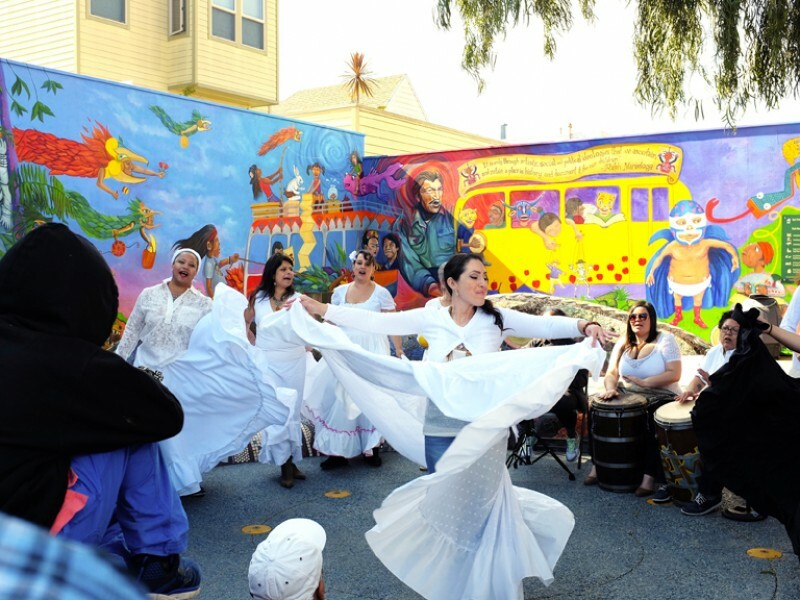 The event, which also celebrated the creation of the Latino Cultural District, featured dancing from Cuicacalli Dance Company, music by Loco Bloco, screen printing, mural tours, and of course, families playing in the park.